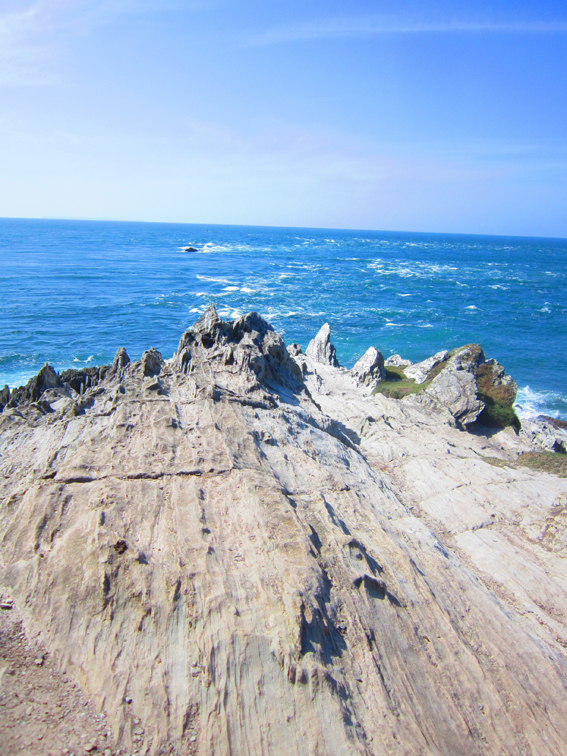 Had a fantastic few days in Devon and have recharged the batteries with the miracle cure Devon air! 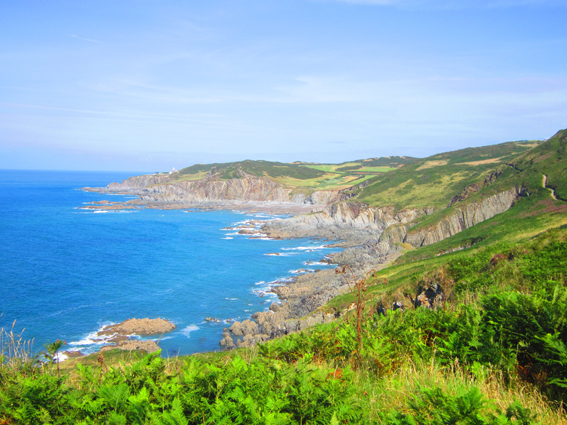 There is nothing better than walking along the amazing coast path from Ilfracombe to Woolacombe! Makes you forget all about delays on the Northern Line and other such boring things in life!!! 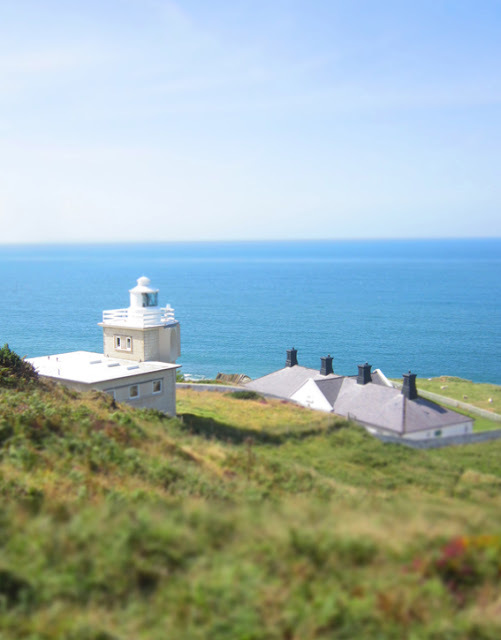 The stunning lighthouse at Bull Point, along the coast path towards Woolacombe. 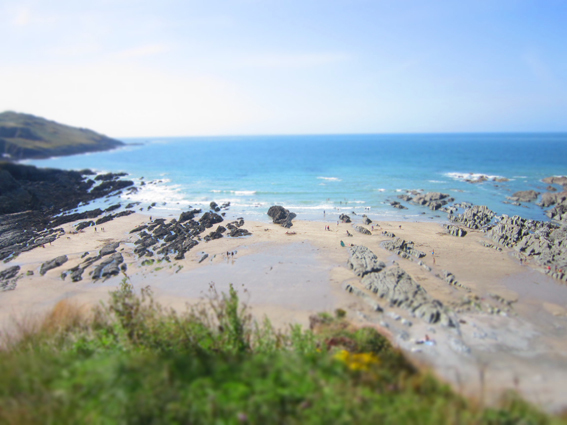 Rockham Bay, a handy stop off point to dip your toes in the water! 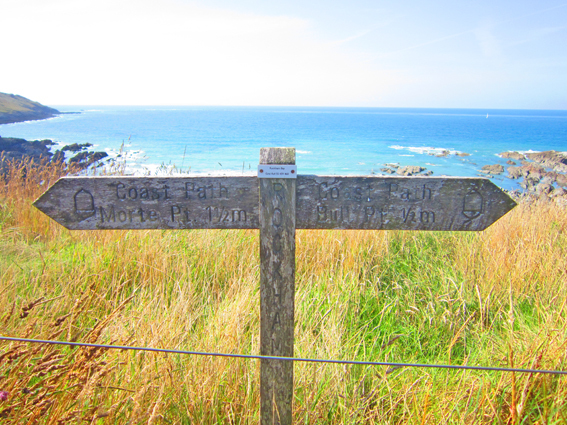 Only 1 and a half miles to Morte Point! Looking back towards the lighthouse at Bull Point. Wow! 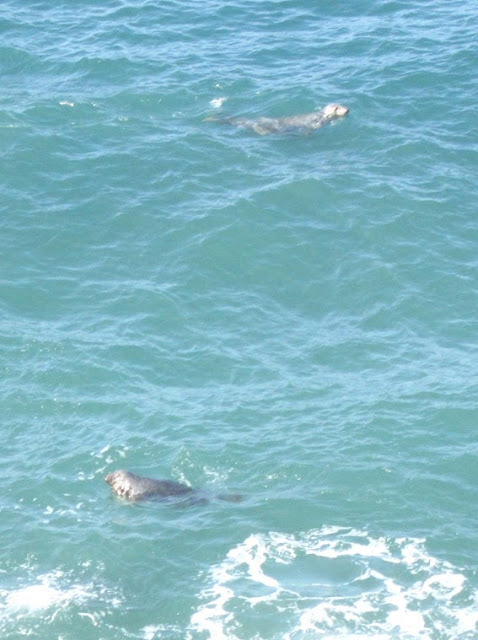 We even spotted some seals! Apparently they show up quite often in these parts. The extraordinary lunar landscape of Morte Point. 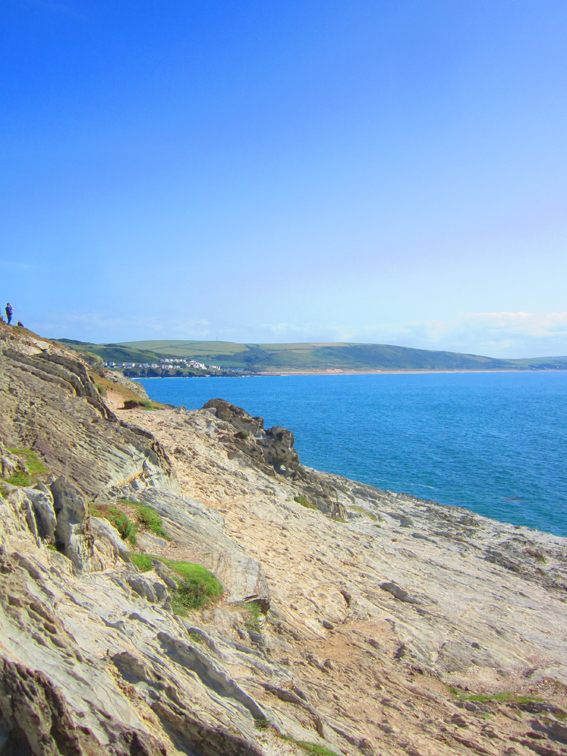 Looking the other way from Morte Point, around the coastline towards Woolacombe. Arrived at Woolacombe at last! Phew, check out the crowds on the beach! Have been very busy preparing some very exciting antique and vintage items for the Ally Pally antiques fair on September 15th. I can't wait for this fair, as not only can I show my own work, but I can also be 'real' antiques dealer! I've got some lovely pieces to put on display and I'm very optimistic for a fantastic day there! 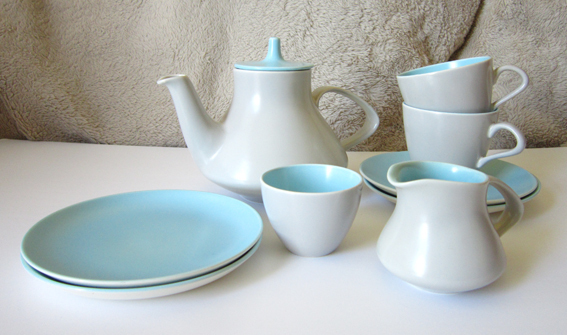 Gorgeous Poole Pottery 'Twintone' Tea Set from the 60s... On sale at Ally Pally! 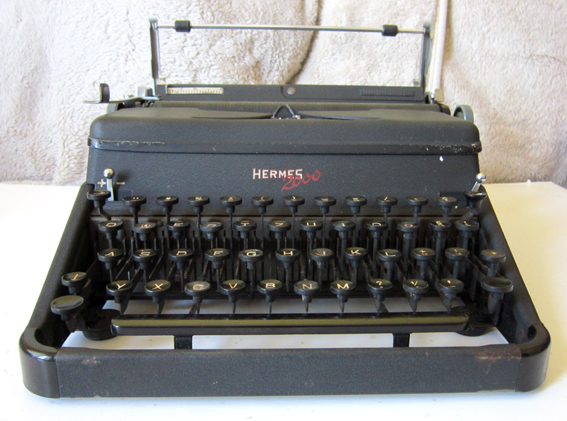 Also at Ally Pally will be this amazing Hermes 2000 Swiss made typewriter from 1948. 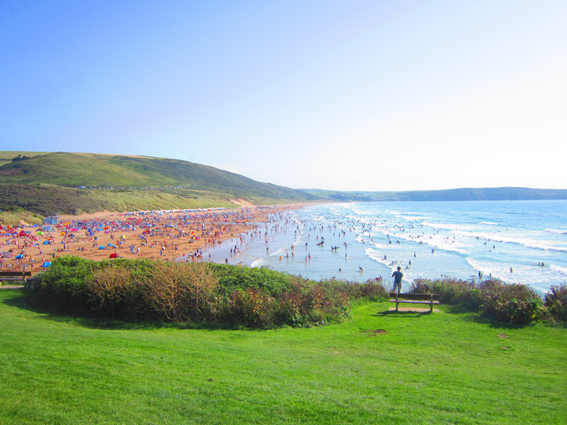 Tomorrow I'm off to lovely Devon for a few days, lucky me! Will get some proper fresh air there, and hopefully the weather stays nice as it can be a bit mad down there! Follow that sign! Fantastic Victorian sign in Ilfracombe. 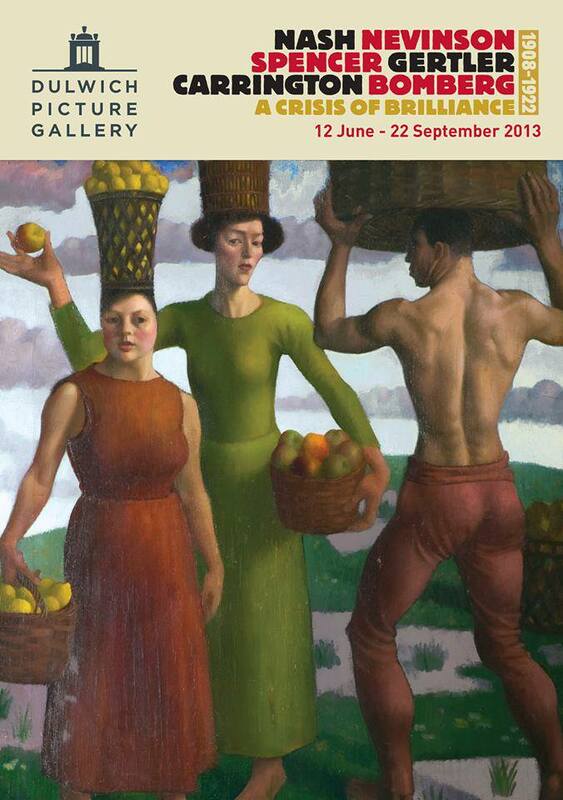 Had a fantastic time at the A CRISIS OF BRILLIANCE exhibition at the Dulwich Picture Gallery. It focuses on 6 British artists between 1908-1922 who changed art in this country forever. Those featured, Paul Nash, CRW Nevinson, Stanley Spencer, Mark Gertler, Dora Carrington and David Bomberg all had amazingly varied styles, but all pushed British art into modernist territory for the first time. For ages I've been a huge fan of Nash and Nevinson, chiefly through their stunning work throughout the First World War, so it was particularly moving to see some of their paintings and sketches close up. Poster of the exhibition, you've still time to go! 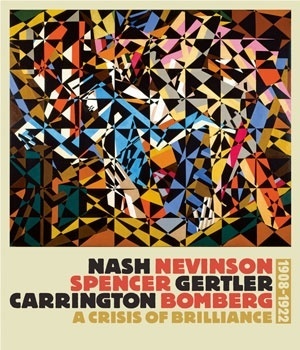 The book of the exhibition, with an amazing Bomberg painting on the cover! Have started a new collage as well, this time it is inspired by Paris. Having realised I have quite a lot of items from the City of Light, I decided to try out a vintage based collage. I'll let you know when it's finished! 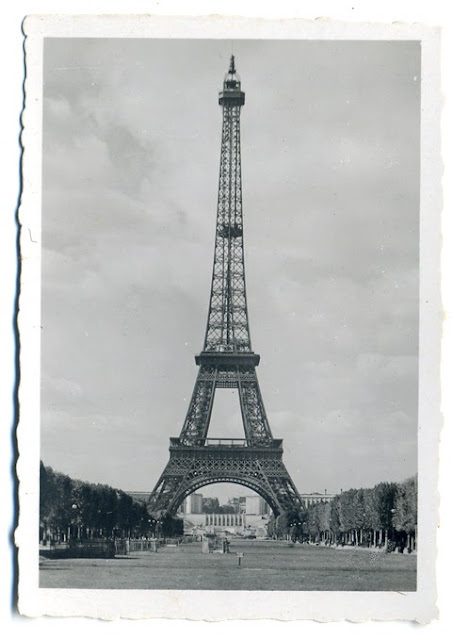 A 1930s souvenir photo of the Eiffel Tower, which is featuring in my latest collage! Hopefully I'll finish my Paris collage in time for my next 2 fairs, the first of which will be on September 8th, for the MILITARY FUN DAY at the Mill Race Garden Centre near Colchester in Essex. 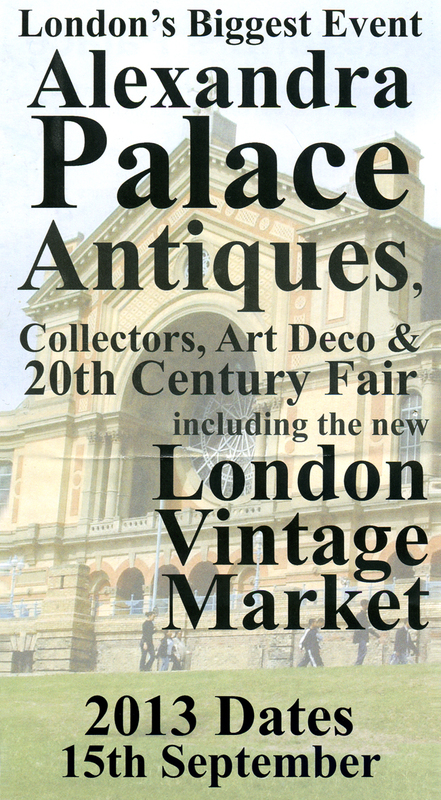 Then, it's the biggy.... the ANTIQUES, COLLECTORS, 20th CENTURY & ART DECO FAIR at Alexandra Palace on September 15th! Bye for now and see you all soon!! Welcome to the latest addition to my DAZZLING DECADES series... the 1910s. I've called this decade the TOPSY-TURVY TENS, as this really was a time of stark contrasts. History has portrayed the early 1910s as an idyllic and prosperous time in Britain, with long, golden Edwardian summers and the Empire at its peak. But in actual fact, that only tells half the story. For a start, Edward VII died in 1910, so it wasn't even still the Edwardian era! George V succeded the throne to kick off a tumultuous decade. His Coronation in 1911 was followed a year later by the tragedy of the Titanic. Social unrest was now bubbling away amongst the working- classes and the Suffragettes were in full swing, with Emily Davison dying for the cause at the Epsom Derby in 1913. Art was also finding new and exciting boundaries to explore, as British artists were embracing the new art movements celebrating technological advances with Futurism, Cubism and Vorticism. But the decade will always and sadly be remembered by the Great War. The chain of events in Europe led Britain into war on the 4th August 1914 and would change this country forever. As the turmoil of the trenches unfolded, Britain's social order was changing. Class barriers broke down and women were finding new freedoms and responsibilities. The price of these changes however was tragic. Names like the Somme, Ypres and Passchendaele are forever entrenched into the British psyche, for the senseless slaughter witnessed there. Finally peace came on the 11th November 1918, and an exhausted country came together once more for the Peace Celebrations of 1919 and to look forward to a brighter future. Once again my collage is made up of items from my own collections. So although you might not get all the national events mentioned, I believe it gives a very personal feel for the decade. I've bought pieces along the way especially for the collage, including the lovely The Play theatre magazines and the 1911 Coronation Medal. I did find a Titanic postcard at an antique market in London, but it was £100. The ArtPix funds couldn't quite stretch that far!! I did though decide to represent the ship as an icon in the background. I didn't want the war to dominate the collage, especially as I've already done a special 1914-18 collage, so I've sparingly used a few items. Notably the Christmas 1914 tin and an ID Card, which most people probably won't realise were in use at the time. 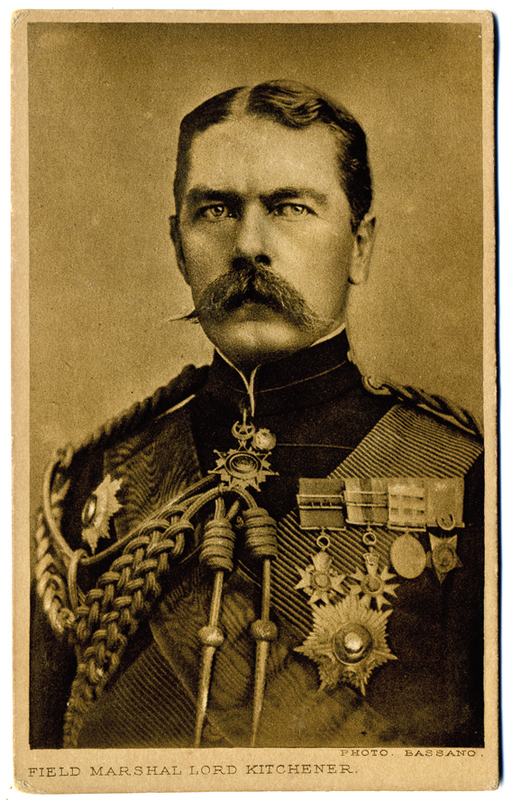 I was also very pleased to use my Lord Kitchener postcard, which I've had for years! 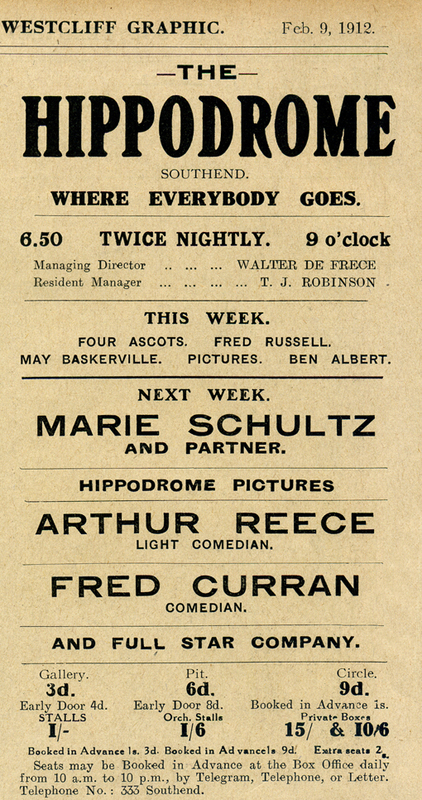 I love the amazing Southend & Westcliff Graphic newspapers from 1910 and 1912, including an advert for what was on at the Southend Hippodrome! 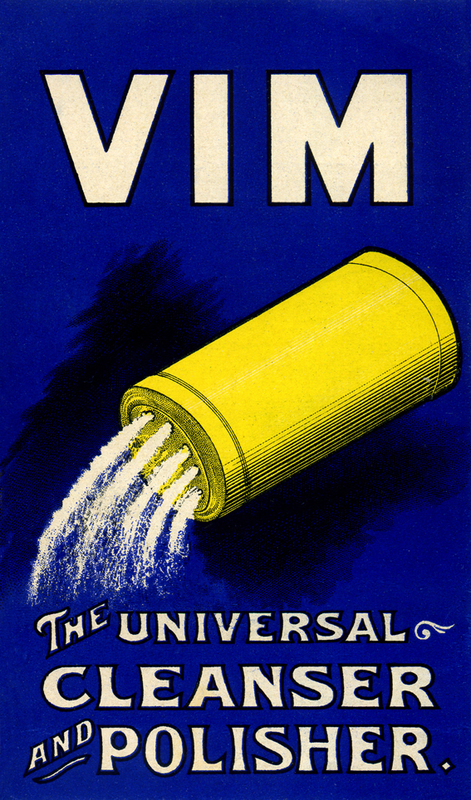 There are some cracking adverts for Vim, Robin Starch and Eno's Fruit Salt. Theatre and movie stars are represented by George Robey and Lillian Gish (thanks to her namesake Carya Gish for this postcard!). 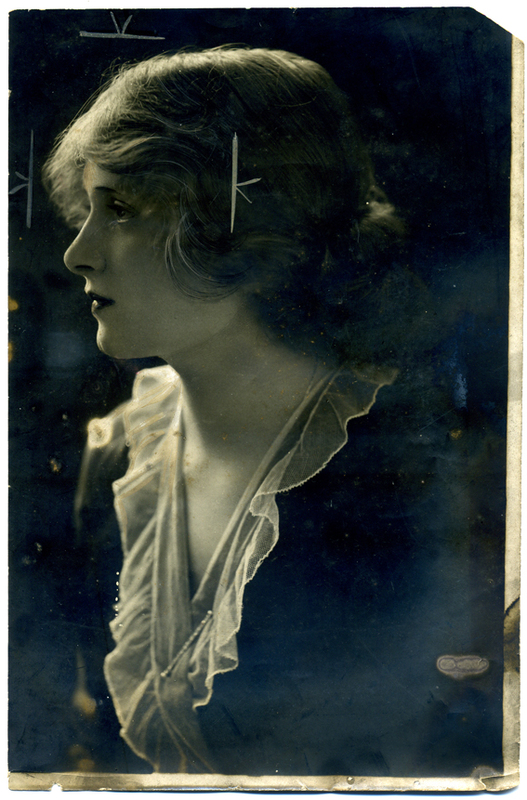 And also Gladys Cooper, which is an amazing press photo, that still has the crop marks added by a designer, for when it was used in a newspaper or magazine. There's also a handbook for Torquay from 1912, a fabulous bound copy of Punch from 1917, pennies, farthing, stamps, postcards, an unusual French cookery magazine from 1914 and a Happy New Year card from 1911. 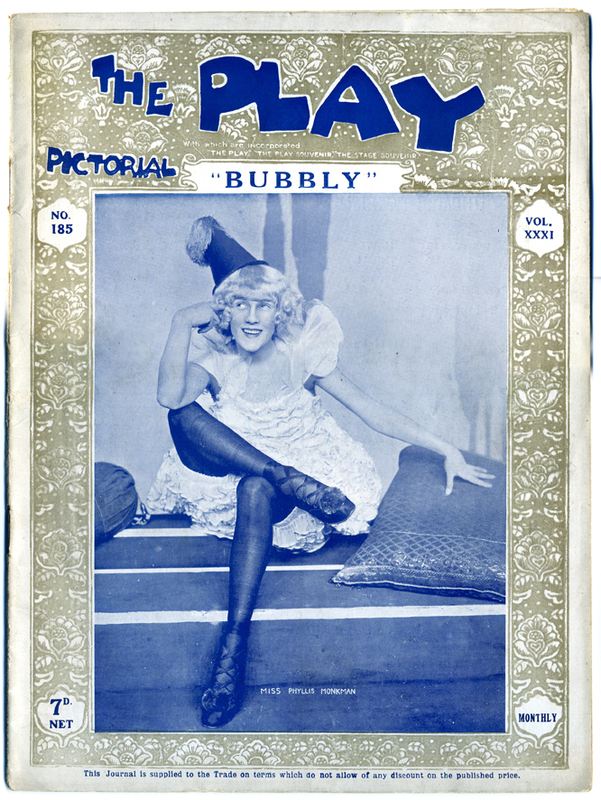 My favourite find for the collage though was the fantastic sheet music cover for the ditty 'Girl of Mine'. 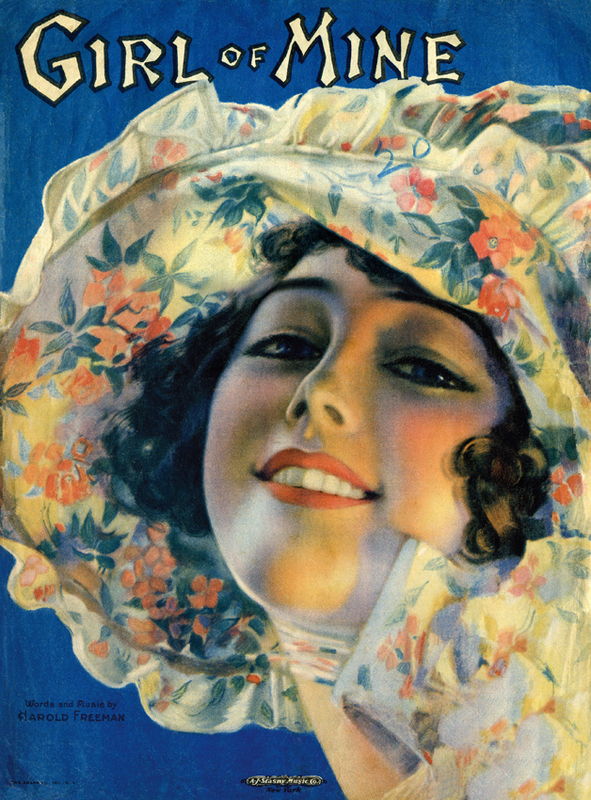 An American song from 1919, that has a gorgeous image of a woman smiling. See what else you can spot! Below are just a few of the items I've used, giving you a closer look! 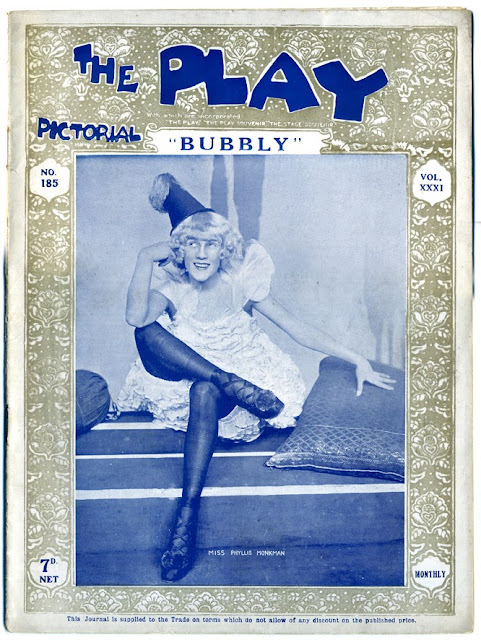 Fabulous cover of The Play magazine from 1918. 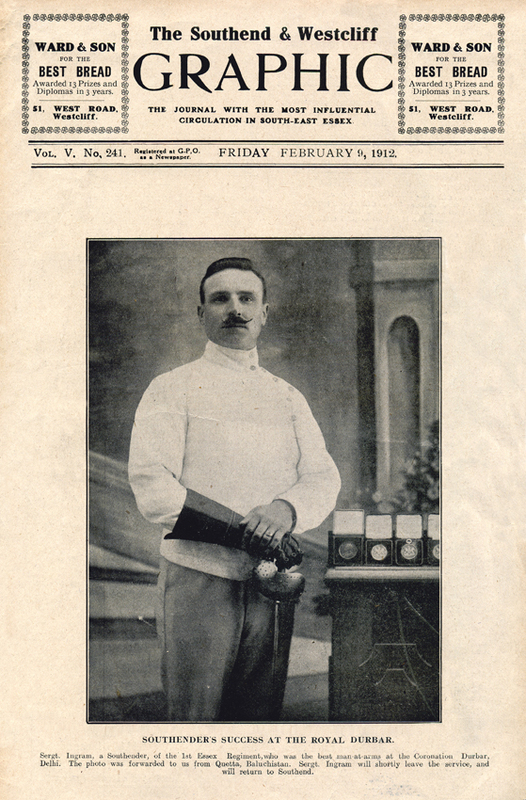 Dashing young blade on the cover of Southend's local newspaper of 1912! A peak at who's treading the boards that week at the Hippodrome! 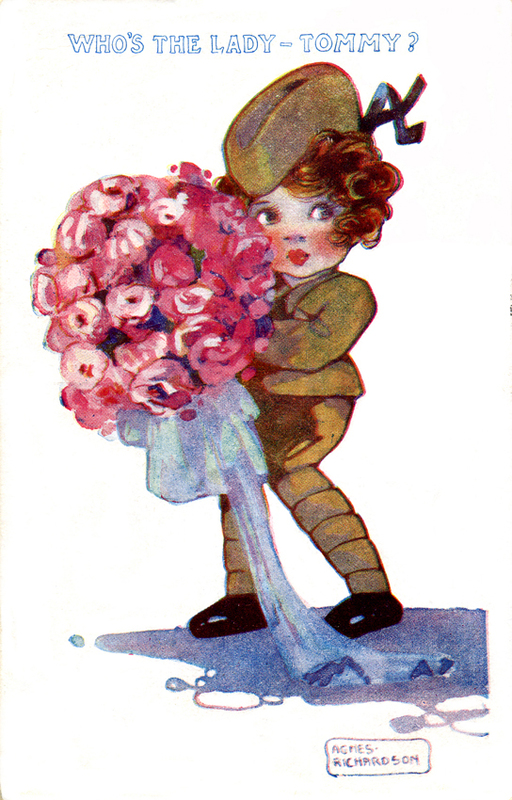 Cute postcard of the Great War from 1917. Probably the most iconic face of the 1910s, Lord Kitchener. 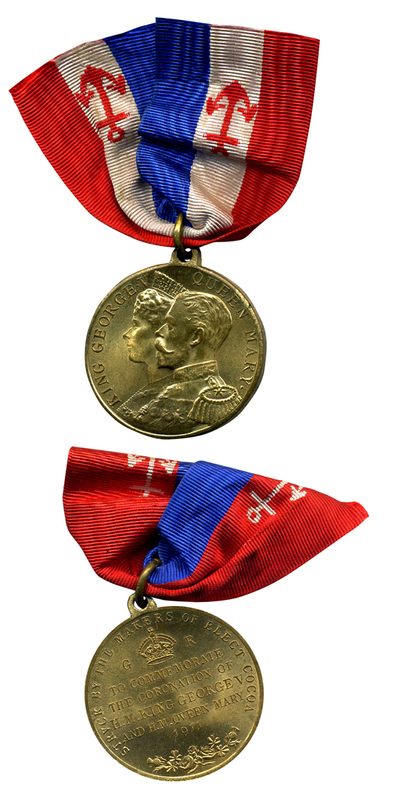 Front and back of a Coronation Medal for George V from 1911. Struck by the makers of Elect Cocoa, no less! Stunning press photo of the actress Gladys Cooper. Check out the cropmarks, from when it was used for print. Simply splendid American sheet music cover from 1919. Finishing up with a Peace Medal for the good folk of Streatham in July 1919. I would love to do a collage of the 1900s, but I really only have a few items I could use so far. I might also have to wait until the 1990s are considered vintage before tackling that decade!! Have been hard at work today on a brand new collage.......! 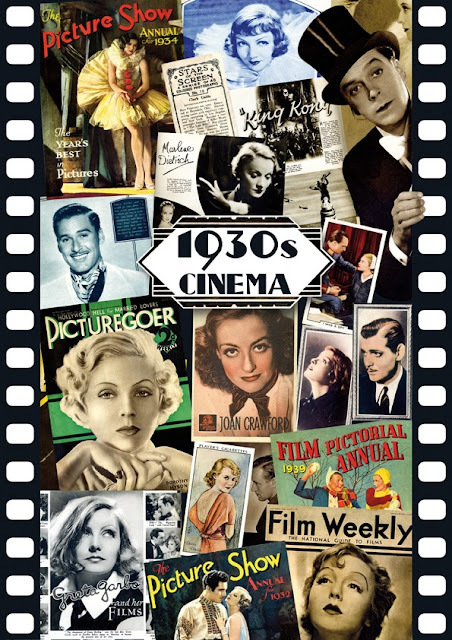 A celebration of cinema's golden era......... the 1930s. 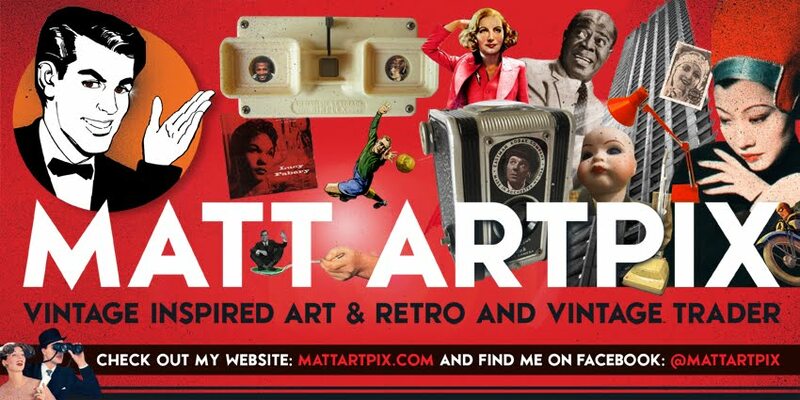 I've packed together items tucked away in the ArtPix Archives to give a real flavour of those glamorous times. ....... and not forgetting King Kong!! 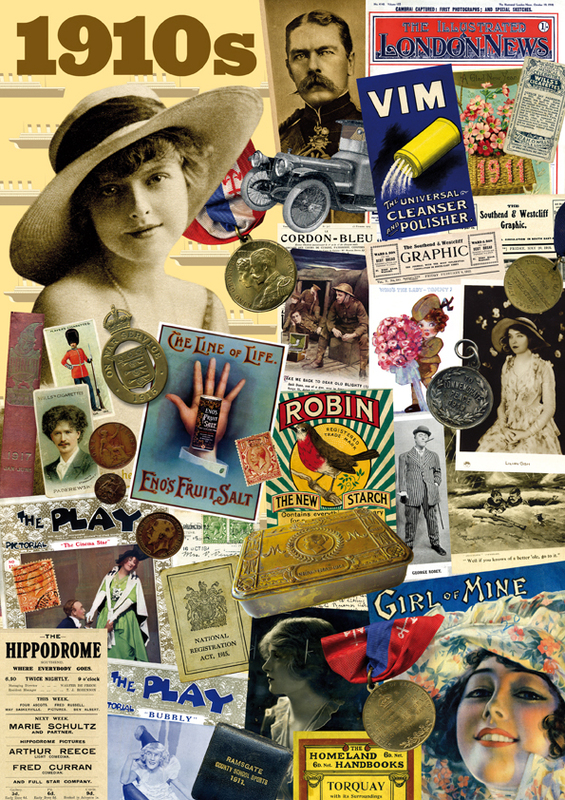 Sprinkled around the collage is also some original 1930s film magazines, annuals and cigarette cards. The Joan Crawford pic is a promotional postcard from MGM films. Included also are some pages from the amazing Picture Show Annuals, with Claudette Colbert supping on some champers in 1934! I hope you like this little tribute, I've got many more ideas lined up, so keep in touch for more updates!